We Have Unique Websites that Promote the Type of Property You’re Trying to Sell. Everyone knows that the vast majority of buyers begin their search online, and these buyers are using search terms that relate to the type of property they’re seeking, so you want a broker with websites that will attract those buyers to properties like yours. At MichiganLifestyleProperties.com, buyers can choose from different top-ranked property type websites, each of which attracts buyers looking for a specific real estate ‘lifestyle’. We’re Affiliated with a National Lifestyle Real Estate Company. Michigan Lifestyle Properties is an affiliate of ’America’s Lifestyle Real Estate Company’, United Country Real Estate, which is over 90 years old and based in Kansas City. UnitedCountry.com is the only national real estate website on which visitors can search real estate by property type, and its websites attract 3 million+ unique visitors per month. 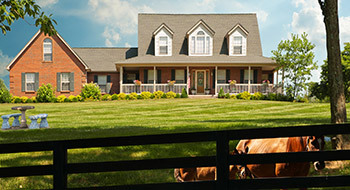 United Country features over 25 separate Lifestyle Real Estate Websites, each specializing in a different property type. When we represent your property for sale, it will appear on the sites where buyers are most likely to be looking. 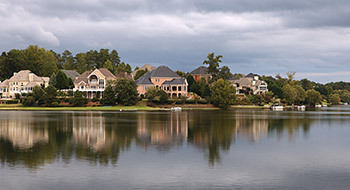 We Have a Database of Buyers Looking for Your Type of Property. Thousands of visitors to the Michigan Lifestyle Properties websites have provided their contact information and asked us to keep them informed of new properties that come available that may be of interest to them. We also have access to United Country’s database of 600,000 prospective national and international buyers, who have opted onto that list, and asked to be informed of properties that fit their criteria. We Advertise on Targeted Third-Party Websites. 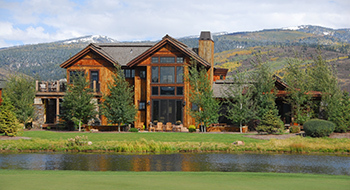 We know that buyers of lifestyle properties also search on websites like LandsofAmerica, LandWatch, LandFlip, LakeHouse, GolfHomes and others, so we promote all of our property listings on those sites as well. We Have Our Own Catalogs that Feature Lifestyle Properties. Sure, most people search online, but there are still buyers who like to look at print publications. United Country’s exclusive national catalogs are published several times each year, and attract buyers searching for a wide range of properties, many of whom opt in to United Country’s proprietary buyer database. We Have a Referral Relationship with United Real Estate. We know that many buyers of lifestyle properties in Michigan will come from the Chicago and northern Indiana areas, so we promote our listings to United Real Estate Agents who serve buyers and sellers in the greater Chicagoland area, Indianapolis, and locations in the upper Midwest. We Actively Employ Internet and Social Media Advertising. 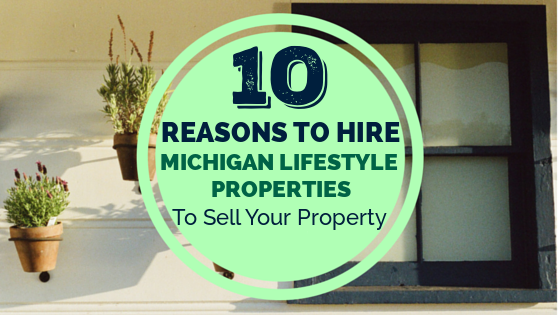 At Michigan Lifestyle Properties, we often do Google AdWord campaigns and Facebook ad campaigns for specific properties that we represent for sale. This type of advertising allows us to target our advertising to the specific audiences most likely to be interested in the properties our clients are selling. We Have Access to a Full Service, In-House Real Estate Advertising Agency & Public Relations Service. Through our affiliation with United Country Real Estate, the agents of Michigan Lifestyle Properties are able to access additional custom marketing support, to produce a wide variety of deliverables, including enhanced property websites, TV commercials, direct mail campaigns, press releases and more. We Have Access to United Country Auction Services. 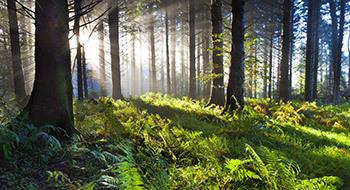 Occasionally, the circumstances of a property require a non-traditional sales method. When the auction method makes sense, Michigan Lifestyle Properties agents can call on the auctioneers at United Country Auctions Services, who sell over 3 billion in gross transaction volume annually, serving one client at a time. David was very responsive when I had questions about properties of interest. He went out of his way to preview properties since I was out of town. I would recommend calling him to help you with your next real estate transaction. My aunt lives in Chicago and has a property that she needs to sell in South Haven. I contacted Dave and did a great job in representing my aunt. He was very responsive and proactive with my aunt's listing. I would recommend Dave to anyone who looking to sell in South Haven! David Kreager was a dedicated real estate agent for the entire selling process of our property. Dave's professional and honest guidance was extremely helpful from the listing thru closing. He was always available to us with his wealth of knowledge for all our questions. He tirelessly marketed and showed our property at a moment's notice from prospective buyers. We would recommend Dave to everyone to represent their property.